The Nature Conservancy of Canada is the leading non-governmental land conservation organization that works on a national scale in Canada. The story of how this group started with a few volunteers in 1962 to become a charity that now manages 2.2 million acres of ecologically important land nationwide and is supported by 40,000 donors. Conserving Canada's natural heritage-our indigenous species, distinctive ecological communities, and the landscapes and seascapes that define wilderness at larger scales-is the central goal of the NCC. But it is complicated work that requires working with the private sector and the government, as well as other groups. A sustainable conservation of biodiversity requires that a science-based, well-managed system of protected areas be implemented. Land trusts such as the NCC have a vital mission: to work within the private sector to establish protected areas for the benefit of indigenous biodiversity. 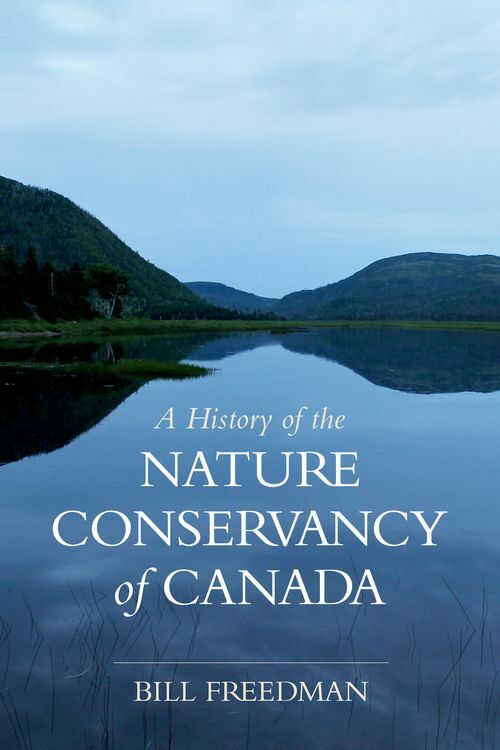 Author and biologist Bill Freedman takes a scientist's approach to the essential work carried out by the NCC. He explores the qualities of the natural world, such as its living components of biodiversity, as well as the causes and consequences of the global biodiversity crisis. Freedman explains how science-based conservation helps to address biodiversity loss preventing further depletion and repairing some of the damage that has already been caused. There is plenty of human interest in Freedman's recounting of the NCC's history, along with descriptions of spectacular conservation projects. The narrative concludes with an examination of the present state of affairs of the NCC and the prospects for future successes in its mission of conservation. Bill Freedman is a professor in the Department of Biology at Dalhousie University and past chair of the Nature Conservancy of Canada's board of directors. He is the author of six books and five edited volumes, including Environmental Ecology: The Ecological Effects of Pollution, Disturbance, and Other Stresses and the Encyclopedia of Endangered Species. His academic awards include the Career Achievement Award from the Canadian Council of University Biology Chairs and the Canadian Environment Award, Gold Medal Level, in the category of Community Awards for Conservation from the Canadian Geographic Society. For over twenty years, Freedman has been a dedicated volunteer with the Nature Conservancy of Canada.